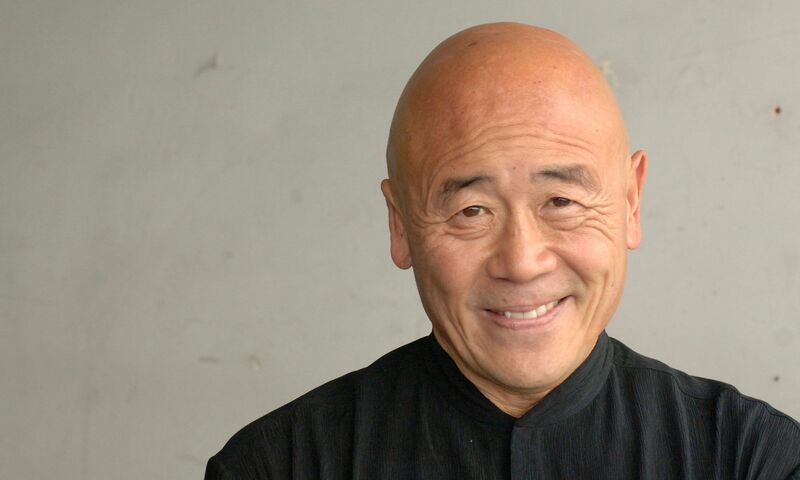 When we meet Ken Hom, he’s sitting quietly in the sofa sipping aged Mandarin Pu-erh tea at Yan Toh Heen, one of his favourite restaurants in Hong Kong. The acclaimed chef was in the city as part of his annual trip eastbound as an ambassador for the UK Government’s GREAT Britain campaign, and also to promote My Stir-fried Life, his latest autobiography. Hom was born in the United States, and was brought up by his single “tiger mom”, who taught him Chinese values—it was his uncle who led him on the journey to food, inviting Hom to work at his Chinese restaurant at age 11. When he moved to California, he began teaching cooking classes to earn money throughout his university years, which eventually lead to him setting up his own cooking school and kickstarted his career in publishing and numerous cooking shows at the BBC. We had the opportunity to sit down with the famous chef during his visit, when he shared some candid memories of his journey to culinary greatness, as well as a few of his food obsessions. I hate the word ‘ celebrity chef’. I never consider myself a celebrity anyway, but I will take ‘teacher’ as a word to describe myself any day. Freshness and Clarity are two building blocks of Cantonese cuisine. Chinese cooking is not codified like French or Italian or other cuisines of the world. It is personal. You ask 10 chefs to cook twice-cooked pork, all of them will cook it the way they like it. It is as much about intuition and preference as it is about skills. You cannot be chauvinistic about food. I’m not saying all Chinese food is the best. Take the Vietnamese spring rolls for instance; they have crispier wrappers and make better texture than the Chinese ones. I must have garlic in my larder. Growing up, I enjoyed having choi sum and garlic, stir-fried to perfection. It is so simple yet so good. The word Fusion is bad because essentially it means confusion to many. You need to be conservative when mixing things, knowing well what would mix together and what shouldn’t. When I first visited China I didn’t think highly of its food. The people did not have the mentality to care about food then. Now it is a competition everywhere, the country and its cuisine are on the rise. I am particularly intrigued about the Japanese obsession to be perfect in everything. They took the concept of tempura from the Portuguese and turning them into a completely changed item, something crisp, light, and ethereal as it is today. Cooking in restaurants is about hard work. I used to think that you need to be a mad man to want a job in the kitchen. When I worked in the restaurant I would clean 80 pounds of pigeon, peel 50 pounds of garlic, and 200 pounds of prawns on a weekend, and that’s just Saturday. It was never easy for anyone.